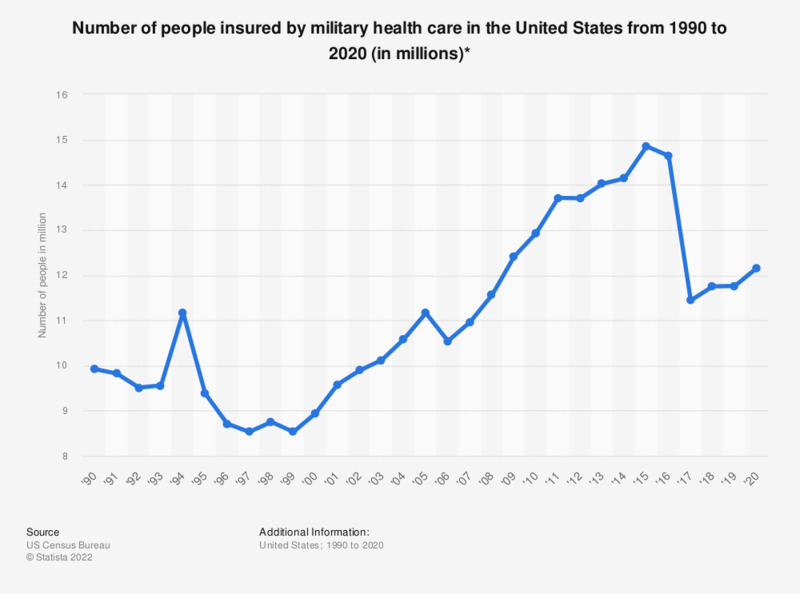 This statistic contains data on the number of US Americans insured by military health care from 1990 to 2017. In 2009, some 12.4 million U.S. Americans were insured through military health care. By 2017, this number had increased to around 15.5 million. * Military health care includes Tricare and CHAMPVA (Civilian Health and Medical Program of the Department of Veterans Affairs), as well as care provided by the Health and Medical Program of the Department of Veterans Affairs and care provided by the Department of Veterans Affairs and the military.